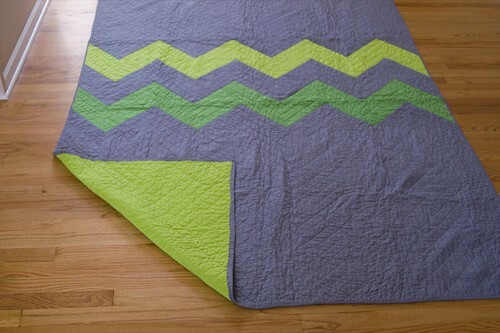 Quilt made with Kona cotton fabric and the Big Zig pattern from Denyse Schmidt quilts. Final size is 62" x 78". Batting is cotton and the quilt was quilted with white threads at 1.25" intervals parallel to the green zig zags.